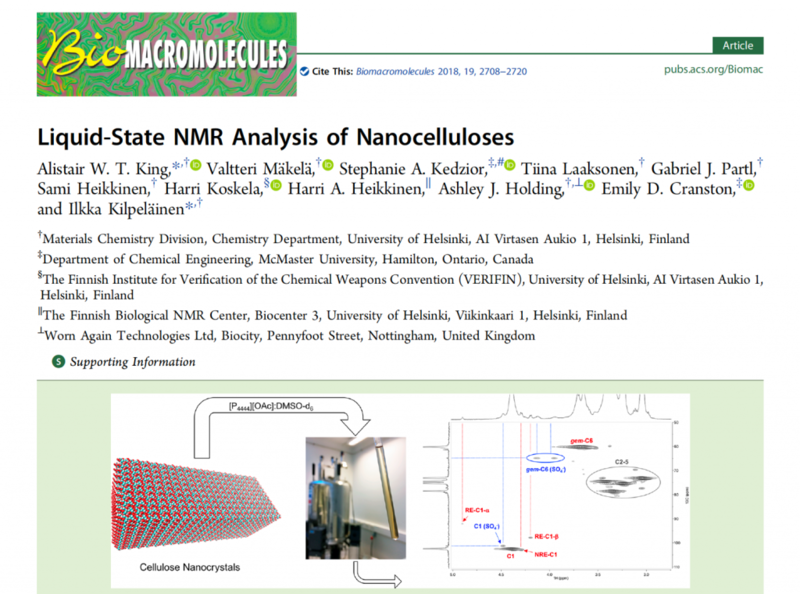 In 2018 we published, with Emily Cranston (McMaster/UBC, Canada) and Stephanie Kedzior (University of Calgary, Canada) a new method for liquid-state NMR analysis of nanocelluloses and other highly crystalline celluloses, or even proteins. To illustrate the process, well characterised PMMA-grafted-CNCs were provided by our Canadian collaborators. 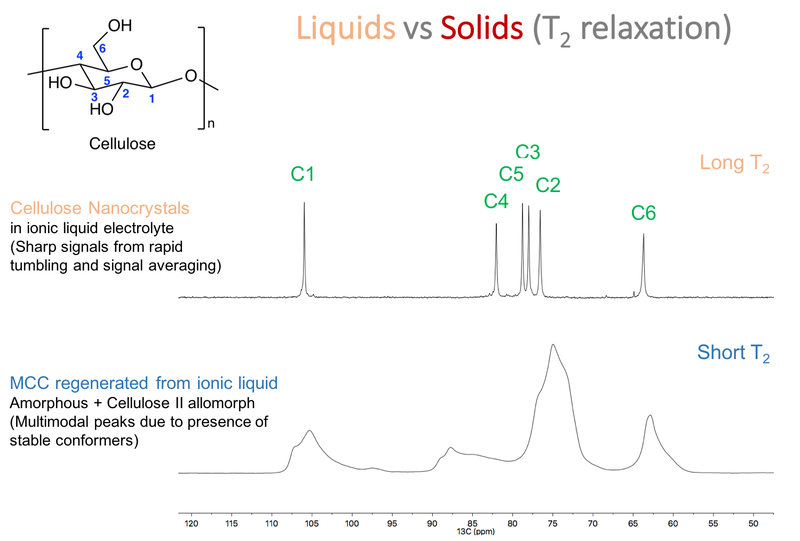 A custom designed ionic liquid electrolyte (tetrabutylphosphonium acetate:DMSO-d6) was used as direct-dissolution solvent for the cellulose samples. Various NMR experiments were applied to determine the graft density and length of the PMMA grafts, on the surface of the nanocrystals. The electrolyte allows for very high resolution in the 13C frequency range, compared to solid-state NMR. 2D NMR experiments can then be used for identification of polymeric resonances but ultimately quantitative 13C NMR can be used for resolution and quantification of those resonances.